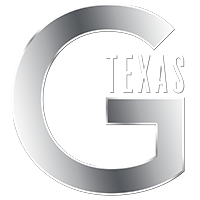 Gas Monkey live is one of Dallas’s premier event venues, drawing inspiration from Richard Rawling’s Discovery Channel hit series Fast N’ Loud filmed at the Gas Monkey Garage. The space attests to its emphasis on entertainment with features like a giant guitar-shaped bar, concert-quality production equipment, and more for corporate parties and private events. The historic Longhorn Ballroom is located one mile from the Dallas Convention Center. At 23,000 square feet of rentable space the Longhorn Ballroom can accommodate groups of all sizes up to 2,550 people. For larger groups, its two-acre outdoor space can host several thousand additional people outdoors or in tents. Longhorn Ballroom’s versatile space is ideal for convention gatherings, corporate functions, galas, fundraisers, weddings, concerts and other special events! Serendipity Labs at Hall Arts offers flexible office spaces, coworking options, and a first-floor event venue for business professionals in the Dallas Arts District. The variety of office spaces provide the perfect setting for your next high-profile meeting or corporate event which can be supplemented with catering and bar services for your clients or coworkers. CrashedToys is Dallas’ hottest venue for your next unforgettable event! CrashedToys provides a one-of-a-kind setting with endless possibilities for group events of all sizes, including corporate groups, meetings, charity galas, celebrations and social events. Though Gilley’s Dallas may be known for great concerts, the real work that happens here is the production of hundreds of world-class events every year, including corporate events, private parties, concerts, weddings and more. Executing large scale events with thousands of guests is our speciality and you won’t find a better staff to work with anywhere in Texas. For facilities rich in history and personality, South Side on Lamar is your venue. Clients use our facilities to host weddings, fundraisers, meetings, mixers, receptions, luncheons and more. We have a variety of spaces that can accommodate crowds of virtually any size. A beautiful 32,000 square foot facility – the perfect spot for your next meeting, banquet or special event! In the heart of the Dallas/Fort Worth Metroplex, the Ruthe Jackson Center features southern elegance with down-home hospitality. The Old Red Museum of Dallas County History & Culture is the perfect location for any social gathering, meeting or celebration. From casual to sophisticated, Old Red offers a variety of rooms and color schemes to suit every need. Let Old Red help you create a memorable event, sure to please all of your guests. One of Fair Park’s most esteemed and beloved landmarks, the majestic Hall of State venue features a remarkable architectural design and rich history for events of different sizes and settings. An elegant seated dinner or award ceremony are just a few of the many possibilities for guests who are looking to book an event here. We are all about the beer, first and foremost… but we host a wide range of great events as well! We enjoy offering a gathering place for the community, and our spacious, centrally-located facilities have proven to be a great place to host your next event. This colonial-style venue captures the beauty of southern culture for weddings and private events with its rural backdrop and beautiful amenities. Both you and your guests will create cherished memories and enjoy first-class service when booking your next event here! A new restaurant concept coming to Hall Arts Dallas in late Spring, The Artisan Craft Kitchen & Terrace Bar offers a culinary experience of bold flavors, locally-sourced ingredients, and interactive chef-attended stations. The Artisan also provides two unique outdoor spaces at the Hall Terrace and the Texas Sculpture Walk for hosting social gatherings and corporate events! Known for its lush and sprawling grapevines, Delaney Vineyards offers guests a picturesque backdrop for weddings, corporate events and private functions. This beautiful and expansive space not only provides spectacular views, but also generous accommodations for events large and small. The McKinney Cotton Mill brings ͞industrial elegance͟to weddings and events with its 100-year history and rustic event spaces. From the scenic hidden garden to the stunning indoor ceremony space, this venue delivers just about any setting for your upcoming nuptials! A commemorative site dedicated to the life and presidency of John F. Kennedy, the Sixth Floor Museum is a respected venue that provides a wide range of services and exclusive access to the museum’s JFK exhibits during your corporate or private function. Located in the heart of the new CityLine Development in Richardson, this trendy boutique hotel is the picture-perfect place to host your corporate event or wedding gathering with several event spaces available for booking, including a second-floor outdoor patio, stylish bar, and flexible meeting rooms. Four Points by Sheraton is a world-class hotel that offers 10,000 square feet of flexible event space to accommodate a variety of corporate and private functions. In addition to stellar service, the hotel provides state-of-the-art A/V equipment, 7 meeting rooms, and convenient access to the airport. The Cavanaugh Flight Museum keeps American Aviation heritage alive by restoring, operating, and maintaining vintage aircraft. Guests are certain to leave with lasting memories after exploring firsthand the history this incredible event venue has to offer! Chandon Arbors is a luxury wedding venue offering custom wedding packages in our state-of-the-art facility built to reflect the natural outdoor haven of a European garden. It’s gorgeous venue is on three private acres in the scenic Old Town Keller. Architecturally designed with weddings in mind, Chandon Arbors boasts an exquisitely crafted interior and a beautiful sweeping landscape with various garden-ceremony sites to bring the vision you have for your wedding to life. Overlooking scenic North Lake, The Sound is a place where you can enjoy the outdoors and out-of-the-box events. From casual and classic to natural and rustic, their indoor and outdoor event venues can be customized to fit any private party, corporate event or wedding vision. Get Assistance for Your Special Event !